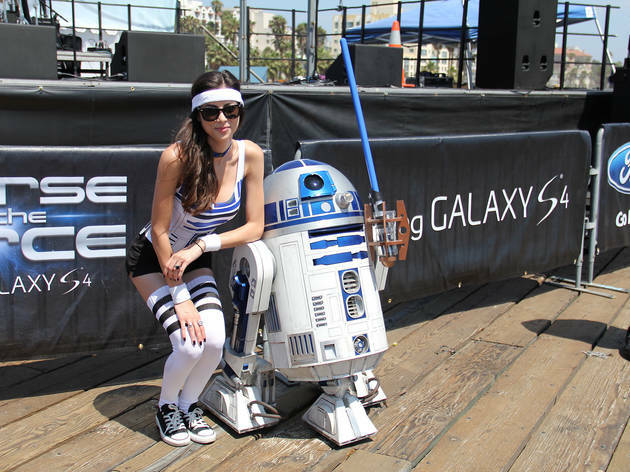 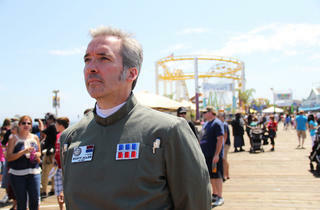 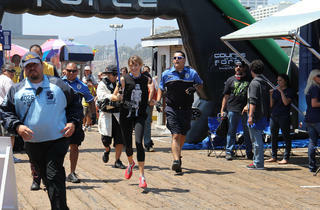 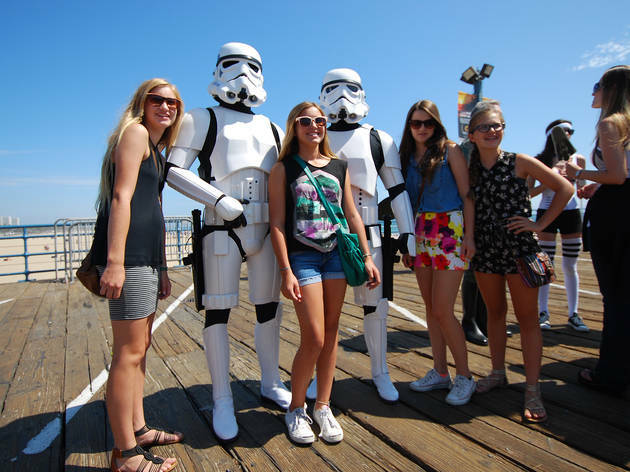 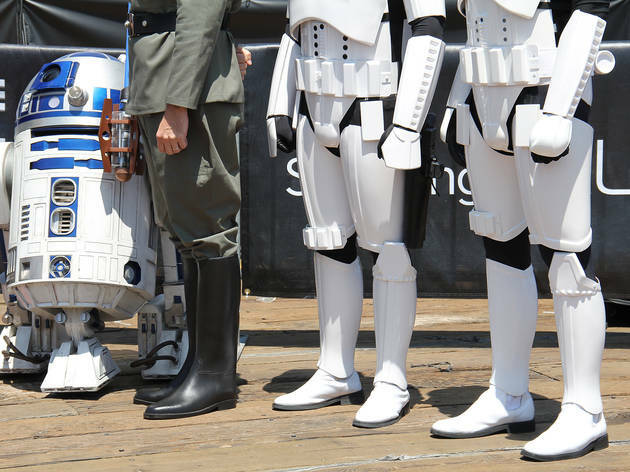 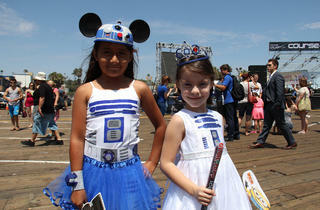 Costumed fans partied on the Santa Monica Pier during the Course of the Force relay. 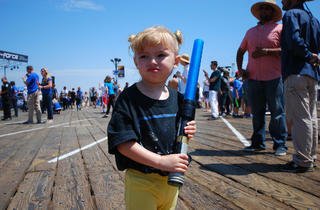 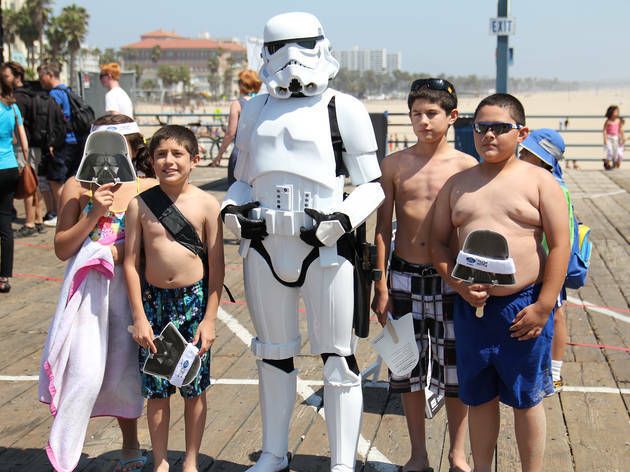 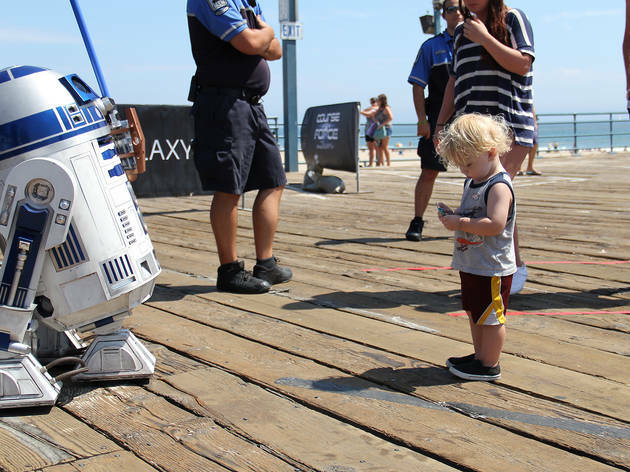 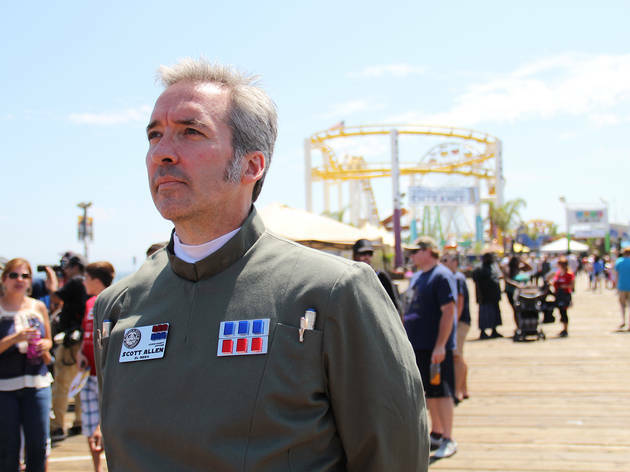 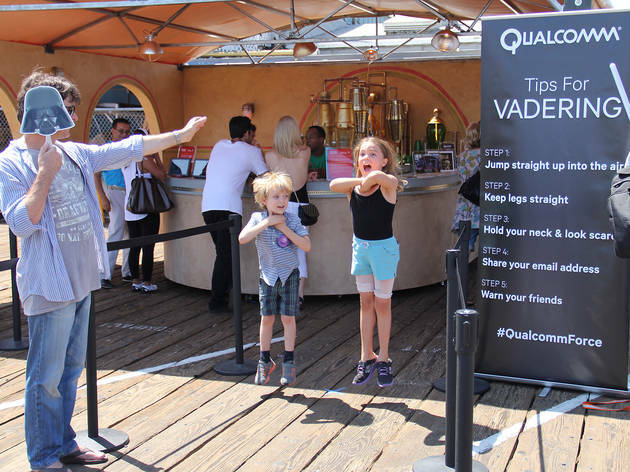 Star Wars fans young and old alike stopped by the Santa Monica Pier on Friday afternoon for the Los Angeles leg of the Course of the Force relay. 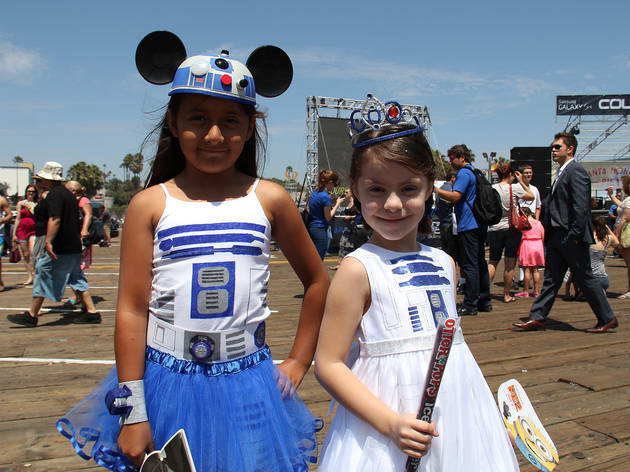 The Course of the Force is a week-long event benefitting the Make-A-Wish Foundation. 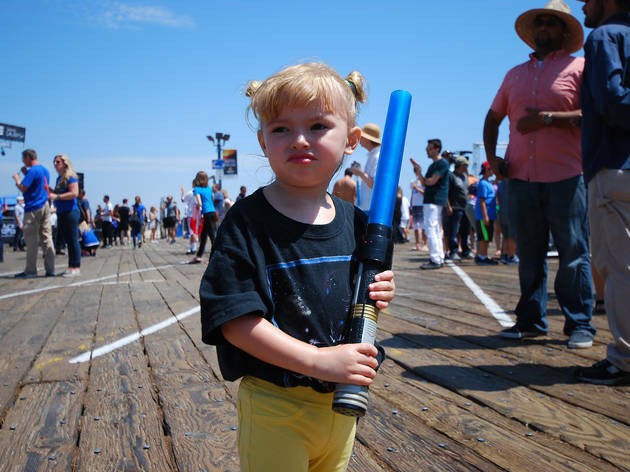 Fittingly, a light saber is being carried relay-style from San Francisco to San Diego, bringing "The Force" just in time for next week's Comic-Con International. 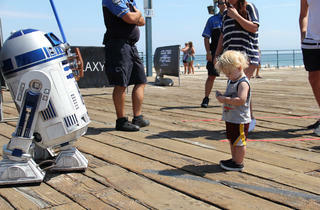 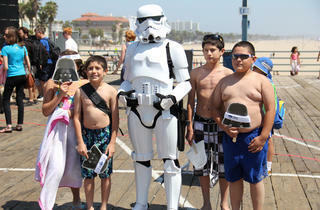 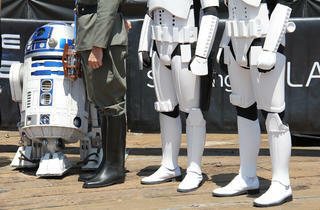 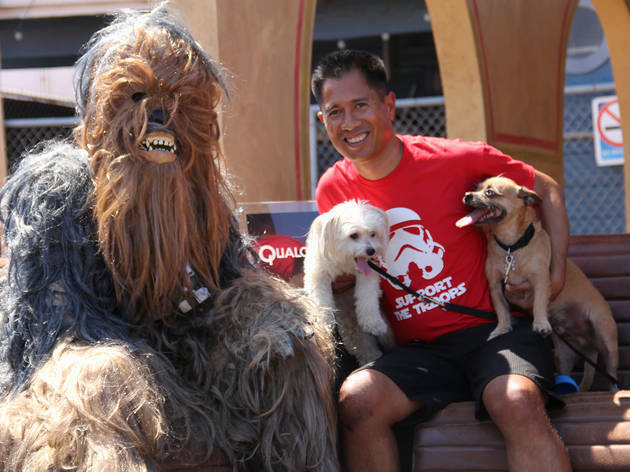 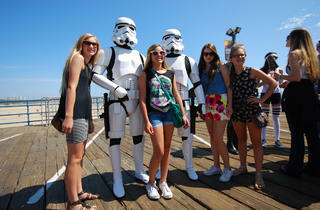 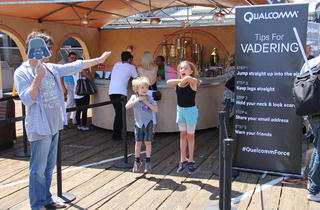 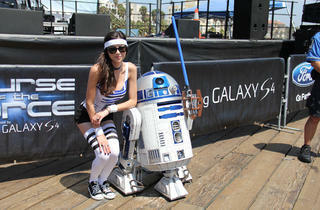 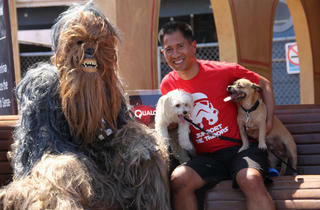 Fans and curious passers-by were treated to free items from vendors and photos with Chewbacca, R2-D2 and Stormtroopers.